WASHINGTON (AP) — Americans like to talk about food, and they certainly like to eat. But they don’t normally think about food policy when they vote. A group of food advocates is trying to figure out how to change that. They’re putting money and organizational effort into elections for the first time, including an effort this fall to defeat Rep. Steve Southerland, R-Fla., over his drive to increase work requirements for food stamp recipients. 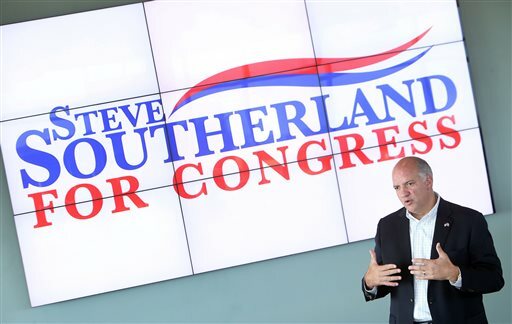 The push against Southerland is a test of how to make food policy stick in the political arena ahead of the 2016 presidential and congressional races. The reason? Many of the same people who care the most about issues like hunger, antibiotics in meat and labeling of genetically modified ingredients — moms and young people — also are politically aware and likely to cast ballots. “Our goal is for people to go to the polls and be thinking about it,” said board member and celebrity chef Tom Colicchio. Members of the group’s board work for advocacy groups that push diverse issues such as animal rights and nutrition. Cook said much of Food Policy Action’s focus right now is on hunger, child nutrition and food safety — all issues that have come up in Congress in recent years. On Wednesday, the group announced that it will spend the final weeks of the 2014 election trying to defeat Southerland, a Republican who led a 2013 House effort to increase work requirements for food stamp recipients. The House passed Southerland’s amendment to the farm bill, which would have allowed states to test the requirements, but his proposal wasn’t included in the farm bill that became law earlier this year. Claire Benjamin, managing director of Food Policy Action, said the group chose Southerland because of his record on food stamps, along with other votes, including a vote against food safety dollars and a vote against a project designed to increase access to healthy food in low-income communities. The group plans to test various strategies and issues in opposing Southerland, who is running in a tight race against Democrat Gwen Graham, daughter of Bob Graham, a popular former senator and governor. Benjamin said the group will spend up to $100,000 to boost voter turnout against Southerland, including telephone calls, digital ads and social media. Southerland’s campaign said his amendment was an attempt to make the massive food stamp program, which now serves 47 million people and costs $80 billion a year, more efficient. Successful or not, the effort against Southerland will inform the advocates as they plan a broader effort in the upcoming presidential election. Food Policy Action is also trying to gain support outside the Florida district, holding rallies in Chicago, Boston, San Francisco and Las Vegas to try to galvanize college students and others on issues like antibiotics in meat and healthier school lunches. It plans to release a congressional scorecard later this month. Democratic pollster Celinda Lake, who is working with Food Policy Action, said that right now, the average person doesn’t know how his or her elected officials are voting on food policy. But she said food issues are an area with tremendous potential for her party, especially because they are so attractive to suburban moms, a key swing vote, and they are often easy for voters to understand. “I am stunned we’re not more active on it,” Lake said. 2014 will be an informative test, he said. “If we can get domestic polling where people say they came out because of some of these food issues, that will add a lot of validity to what we are doing,” Colicchio said.